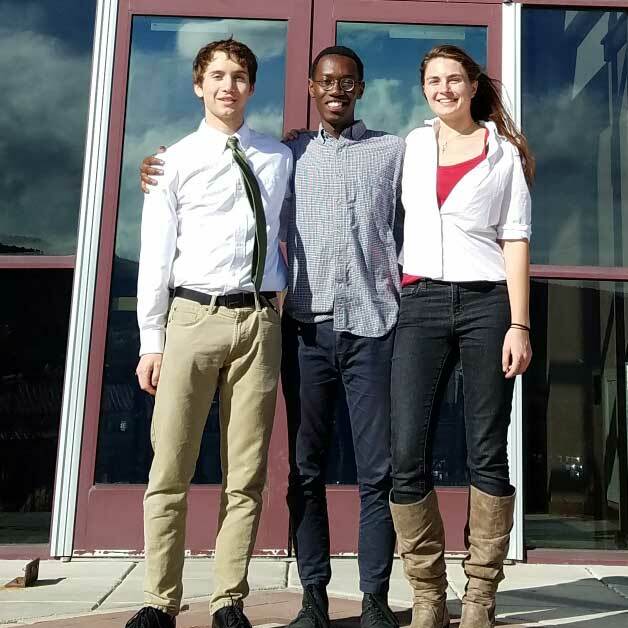 On Oct. 21-22, 2017, three UI undergraduate College of Science math majors, Danny Bugingo, Beau Horenberger, and Carly Scott, won first place and a $100 cash prize during a mathematical modeling competition for undergraduates at Carroll College in Montana. Seventeen teams from six different schools participated, including Carroll College, Montana State University, Washington State University, University of Providence, Rocky Mountain College, and the University of Idaho. The Montana Mathematical Modeling Challenge presents teams with two open-ended, real world problems, and gives them 24 hours to choose and solve one of them using a mathematical model. At the end of the 24 hours, teams submit papers and give ten minute presentations describing their solutions. The UI team presented a model of how presidential campaigns ought to reallocate resources in the event of changes to the Electoral College system.